Jennifer Knapp’s meteoric rise in the Christian music industry ended abruptly when she walked away and came out publicly as a lesbian. This is her story—of coming to Christ, of building a career, of admitting who she is, and of how her faith remained strong through it all.At the top of her career in the Christian music industry, Jennifer Knapp quit. A few years later, she publicly revealed she is gay. A media frenzy ensued, and many of her former fans were angry with what they saw as turning her back on God. 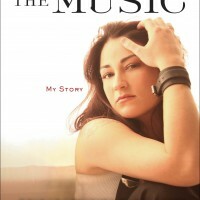 But through it all, she held on to the truth that had guided her from the beginning.In this memoir, she finally tells her story: of her troubled childhood, the love of music that pulled her through, her dramatic conversion to Christianity, her rise to stardom, her abrupt departure from Christian Contemporary Music, her years of trying to come to terms with her sexual orientation, and her return to music and Nashville in 2010, when she came out publicly for the first time. She also talks about the importance of her faith, and despite the many who claim she can no longer call herself a believer, she maintains that she is both gay and a Christian. Now an advocate for LGBT issues in the church, Jennifer has witnessed heartbreaking struggles as churches wrestle with issues of homosexuality and faith. This engrossing, inspiring memoir will help people understand her story and to believe in their own stories, whatever they may be.